With nearly seven years of experience in Singapore's hyper-competitive tech landscape, foodpanda has become a household name in its relentless bid for a larger slice of a global market tipped to grow to over US$250b by 2022. By striking the balance between logistics, technology and data, the Delivery Hero-backed startup was able to successfully grow its network to over 6,000 food outlets and 6,000 riders in an effort to expand its bustling digital marketplace and muscle against the competition. 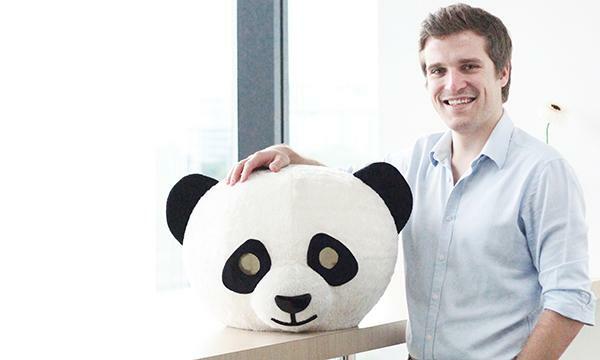 In an exclusive interview with Singapore Business Review, Luc Andreani, managing director at foodpanda, explains how the firm was able to stay ahead of the game by riding the growing push for personalisation and outlook for the year ahead. 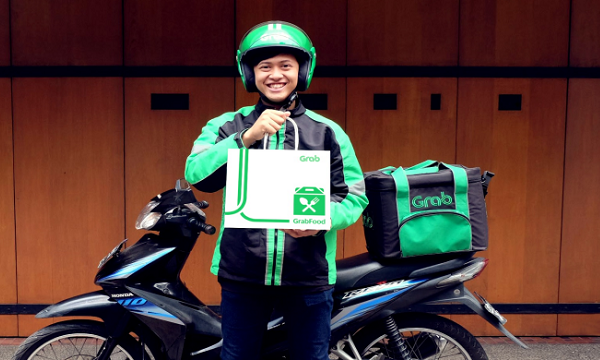 What were the prominent trends and developments that shaped Singapore’s food delivery landscape in 2018? There were three key trends that stood out for me in 2018. The first was sustainability. Secondly, it was interesting to see increasingly more e-commerce companies explore bricks and mortar offerings, especially with the introduction of dine-in restaurant space favourites by foodpanda. Finally, the need for hyper-personalisation in a user’s e-commerce journey. SUSTAINABILITY: In Singapore alone, the Singapore Environment Council found that at least 1.76 billion plastic items are used a year, which equates to one plastic item per person per day. However, only less than 20 per cent of it is recycled. This is a staggering amount and with the exponential growth in demand for food delivery services locally - amounting to millions of orders a month in Singapore. With such an extensive digital marketplace like foodpanda, we realised that we are in a unique position to fight this problem. By leveraging on our leading network of over 6,000 restaurants, we are able to generate real change when it comes to sustainability. Earlier this year, we pioneered the launch of the opt-in plastic cutlery initiative which helped us to save more than 1,000,000 cutlery sets in 2018. Other food delivery services have now followed suit, which is great to see. Besides significantly reducing the use of single-use plastic, we also were the first in the industry to ban shark fin on our platform. BRICKS & MORTAR: Another trend that we saw was e-commerce companies exploring bricks and mortar. While e-commerce companies and bricks and mortar retail were once completely separate identities, the lines between the two are becoming increasingly blurred. foodpanda marked its first foray into bricks and mortar earlier this year with the launch of favourites by foodpanda in Woodlands. It was the first 30 seater dine-in restaurant space operated by a food delivery company and it helps to bring our users more variety while offering our restaurant partners the opportunity to expand their business without significant investment requirements. The favourites model helps us to reach the heartlands of Singapore – making us a true island wide partner. The initiative has been very successful and we now have two outlets with the plan to open additional favourites by foodpanda this year. HYPER PERSONALISATION: Customers today are discerning and have multiple options when it comes to food delivery. Ensuring that each customer receives the best possible customised offering will differentiate one service provider from another. We are constantly exploring different ways to improve on this on a deeper level - not just based on the restaurant or cuisine type of their previous order, but on an even a more micro level - the dish itself. For instance, we recently noticed that a user only ordered dishes that contained coriander before he had made the realisation himself! We spoke with the customer to discuss this finding further and he realised he agreed! In March 2018, foodpanda tried its hand in brick and mortar retail through its pop-up kitchen, favourites. You’ve also launched a Pick-Up feature for pre-orders in November. In light of the company’s relentless pursuit for new features and service offerings, what other strategies is foodpanda deploying for its growth plans? favourites by foodpanda is a central kitchen with a dine-in space that brings together multiple popular F&B brands under one roof. Customers located within a 5km radius of the outlet can mix & matchvendors within one single order. Pick-Up is the first-of-its-kind feature from a food delivery provider. By toggling from delivery to Pick-Up on the app or website, customers can now order food and collect the order directly from their favourite restaurant without incurring delivery fees, without adhering to minimum order values or geographical restrictions, all within 15 minutes. Both these launches showcase foodpanda’s commitment to providing the best user experience. Our mantra is to serve Singaporean’s the food they love at the prices they love. How will foodpanda differentiate itself from other players aiming for a larger slice of delivery pie? How does the company plan to sustain its positive momentum? Our advantage lies in our strong infrastructure, efficiency in managing orders via an advanced dispatch algorithm, and by far the largest restaurant offering in Singapore with more than 6,000 restaurants. As we continue to grow, our focus lies in offering our customers the most variety at prices they love. We partner with the best restaurants islandwide such as new recent additions PS.Cafe, KFC and PappaRich.. Another example of our strategic partnerships in the food industry is TigerNow which we launched in July 2018, allowing our users to order ice-cold Tiger beers island wide until 3am. foodpanda is also committed to creating a long-term sustainability strategy. Earlier this year, we were the first in the market to introduce an opt out cutlery function for customers. With so many orders being delivered to a location where cutlery is readily available, we saw this as an important way to significantly reduce our plastic use. In partnership with WWF, we also signed a ‘Say No to Shark Fin’ pledge and we are working to explore other opportunities to diminish our carbon footprint such as packaging made from sugarcane pulp. We will continue this mission in 2019. Following the success of the inaugural event in September 2018, global lifestyle event concept bites & vibes will return to Singapore this year. Partnering with Sunshine Nation, the event will bring together the hottest restaurants in town, wellness activities and musical performances. foodpanda is also really excited to be the chosen vendor to take over the food village at Singapore’s leading festival Garden Beats this March. Ride-hailing services with their formidable data and logistics capabilities are said to have the edge over dedicated foodtech startups. What are your thoughts on this development and how does the company plan to contend against these superapps? Deploying ancillary services is a model that we are seeing in Singapore and other markets in the region. Our main focus now remains on ensuring that we continue to provide the best possible experience - from the variety of food to the affordable prices and reliable delivery - for our users in Singapore when they are ordering food online. We are always open to exploring ways to optimise user experience and push status quo, even if this means expanding into other verticals. Analysts are bullish about the foodtech sector’s near-term growth prospects amidst new government schemes and venture capital funds being set up to foster startup growth. What’s foodpanda’s outlook for the foodtech sector in the next three to five years and what can we expect from foodpanda during that time? All of our growth plans for 2019 and beyond will continue to focus on offering the best user experience in the industry and catering to all. We have the largest offering in the market with over 6,000 restaurants on our platform. In addition to this, we deliver island wide and the launch of favourites by foodpanda in areas such as Woodlands and Mandai help to further increase our reach and ensure we cater to customers that don’t have easy access to many restaurants in their area. We have a big range of halal compliant restaurants on our platform as we were the first delivery service to introduce the necessary packaging and we also offer 24/7 delivery. Our key focus areas are on creating lasting relationships with our vendors, riders and loyal customers. We are here to stay, continuing serving our customers with the widest variety of food they love, at affordable prices. Moreover, with the support of our parent company, Delivery Hero – the worldwide leader in the food delivery industry, we are excited to be able to continually push the boundaries in food delivery, stay ahead of the competition and maintain our market-leading position.